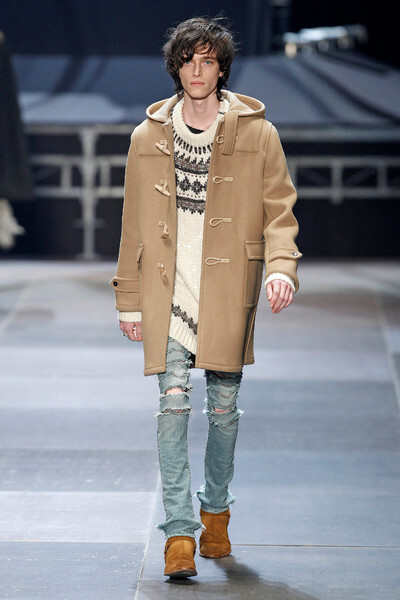 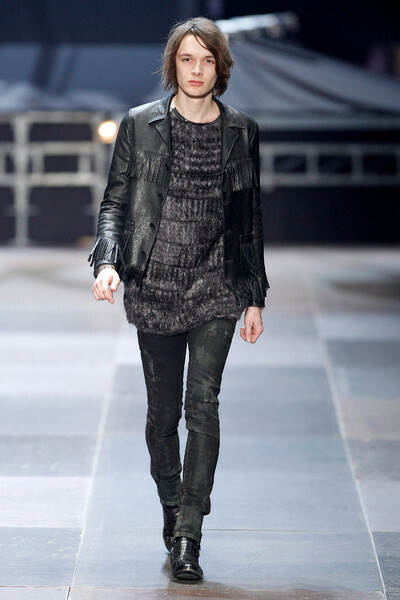 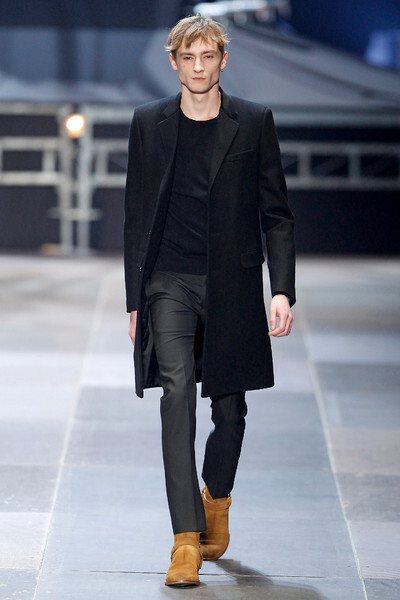 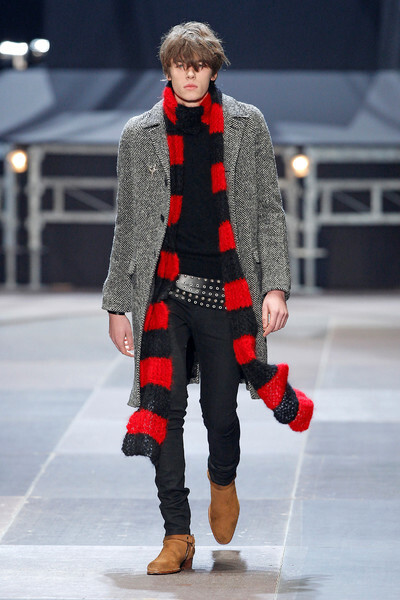 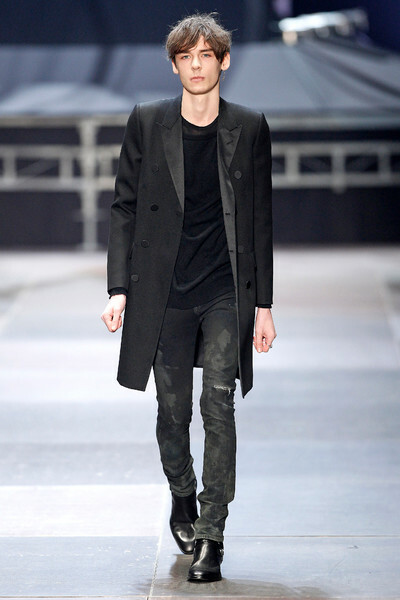 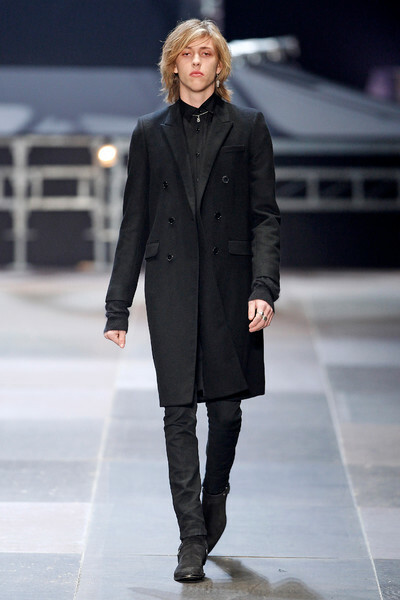 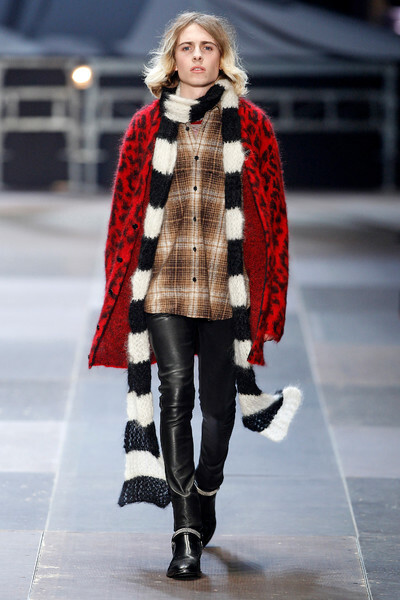 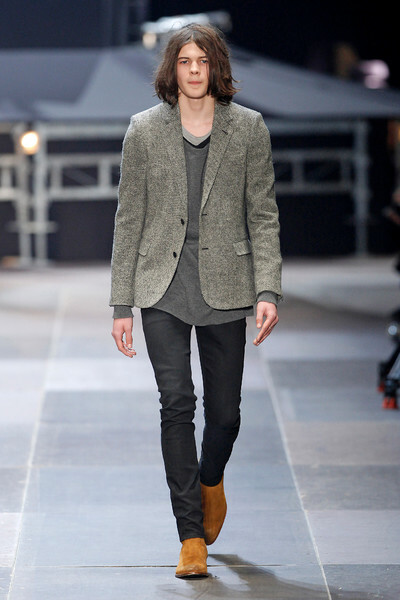 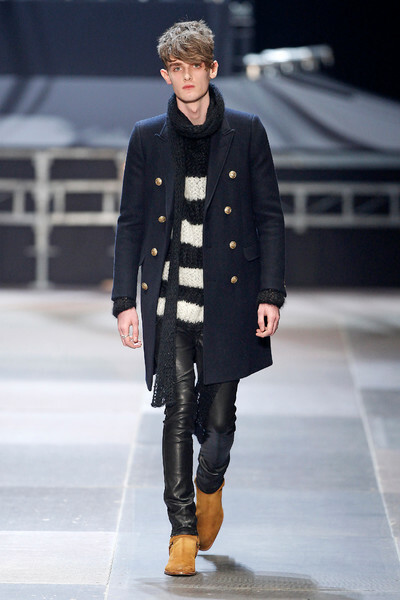 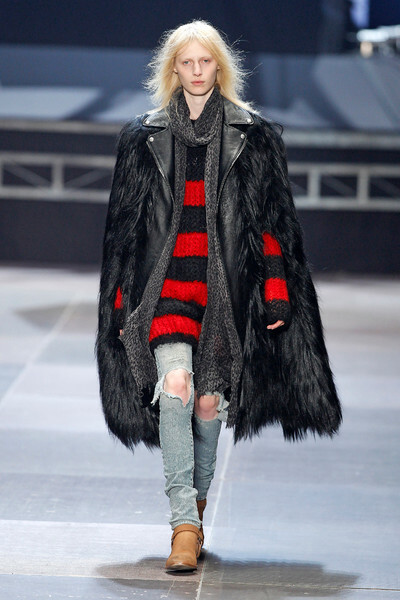 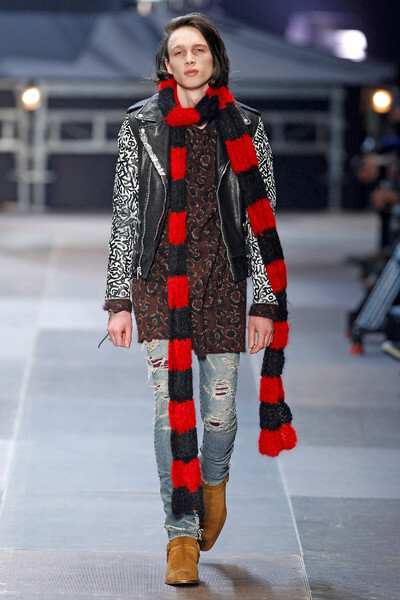 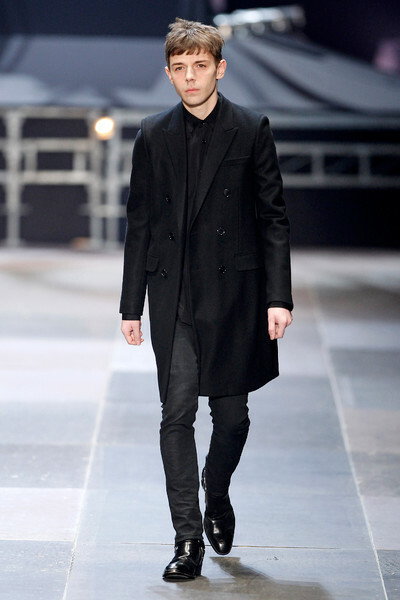 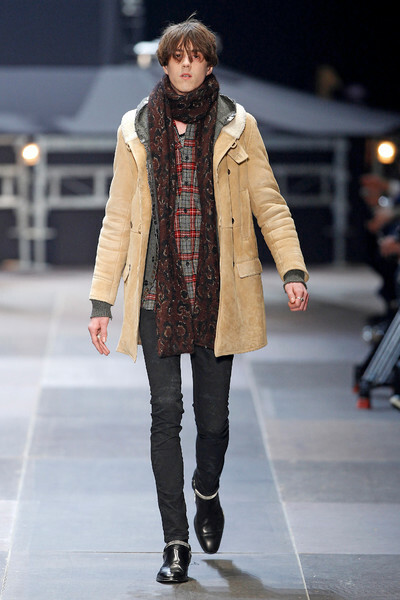 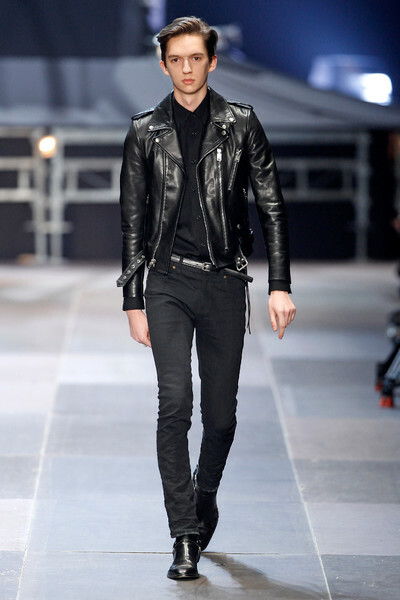 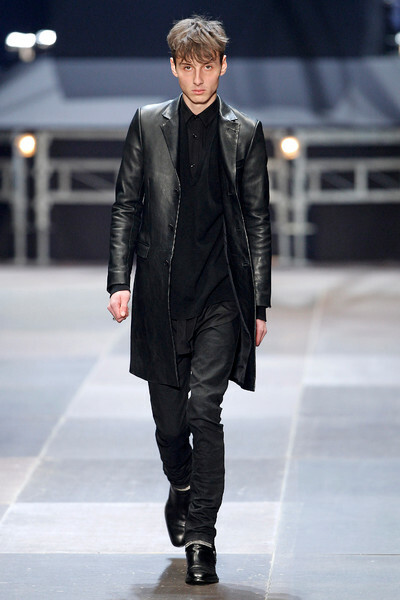 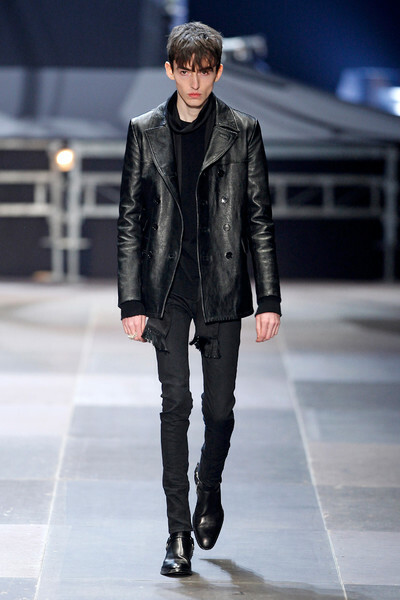 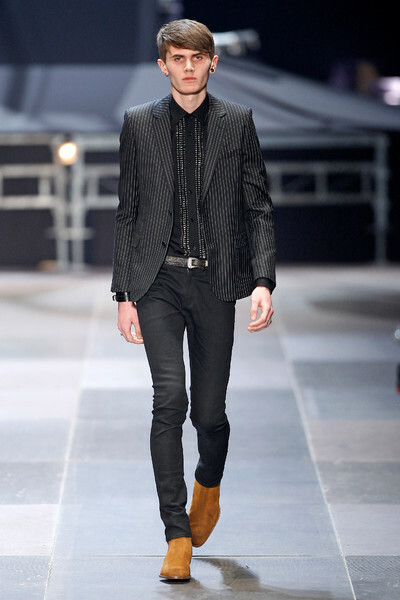 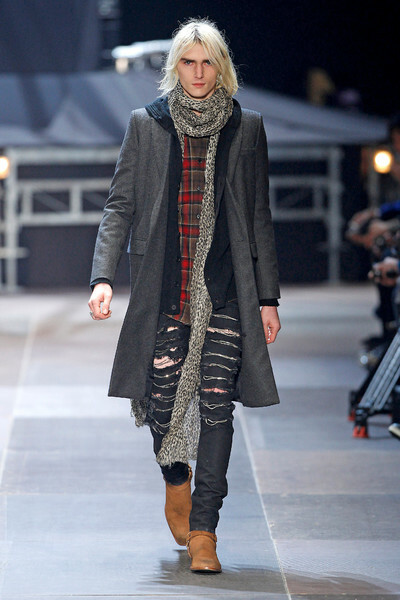 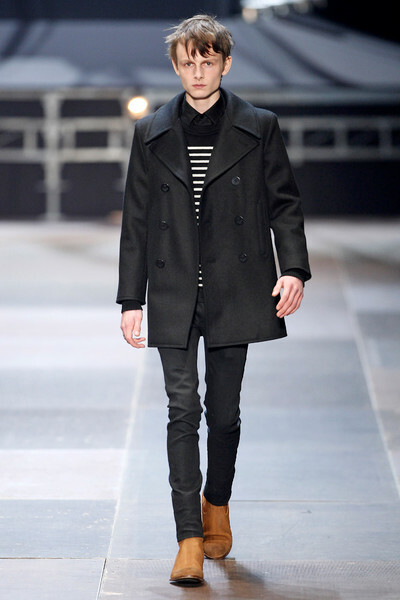 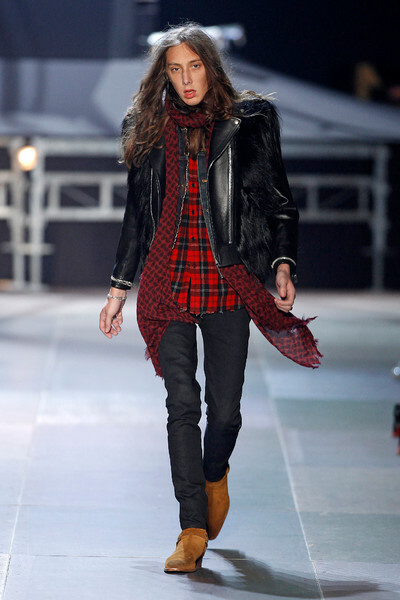 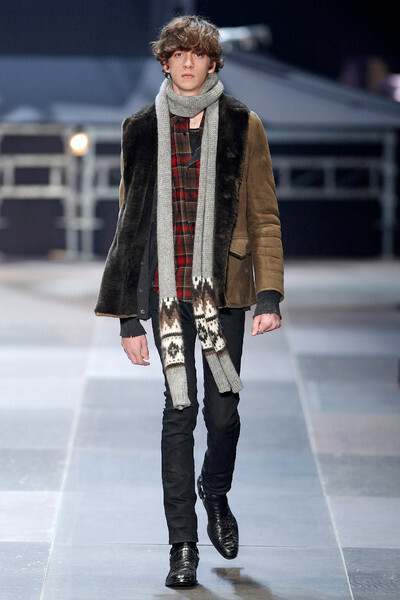 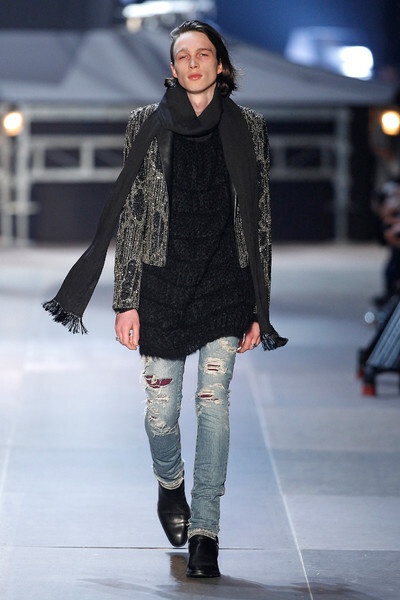 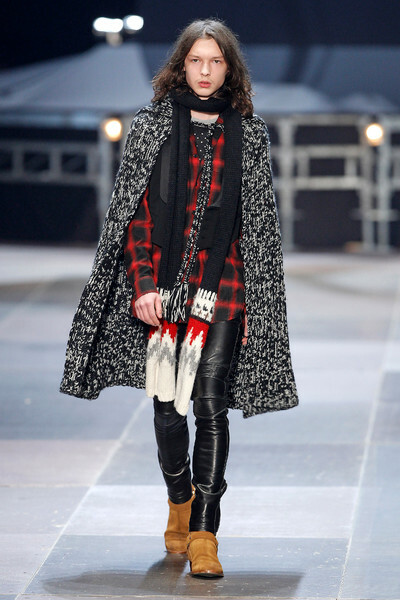 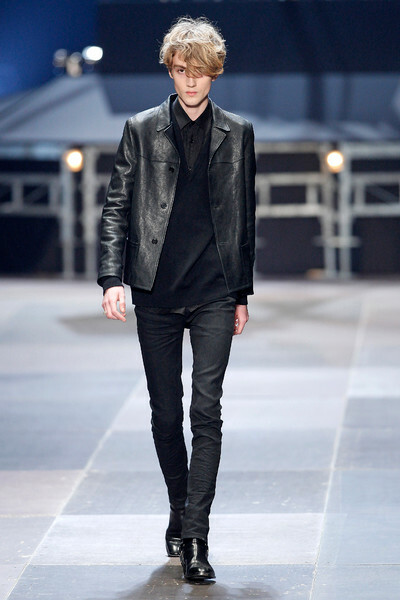 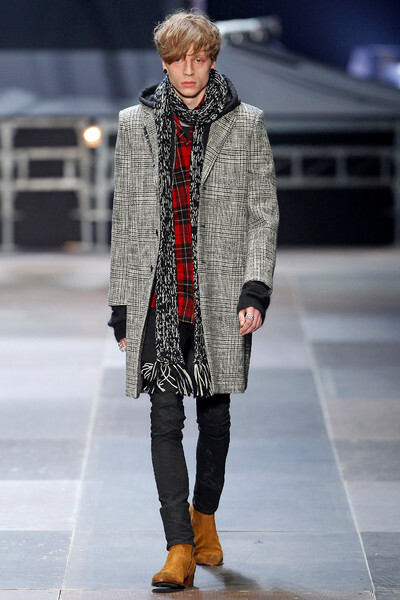 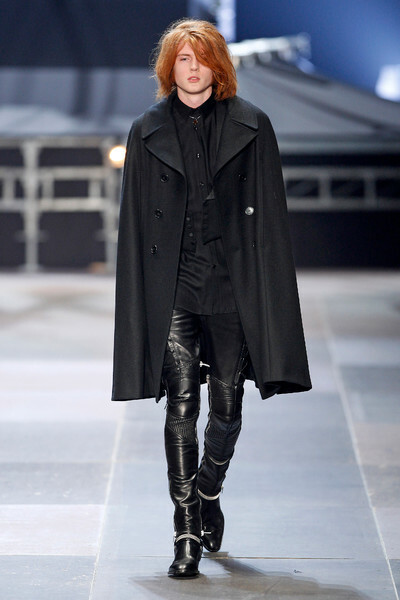 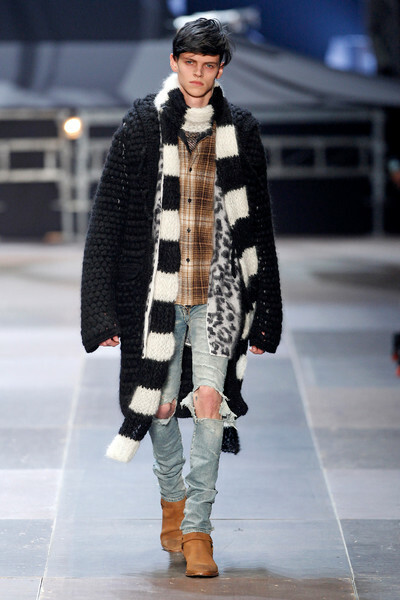 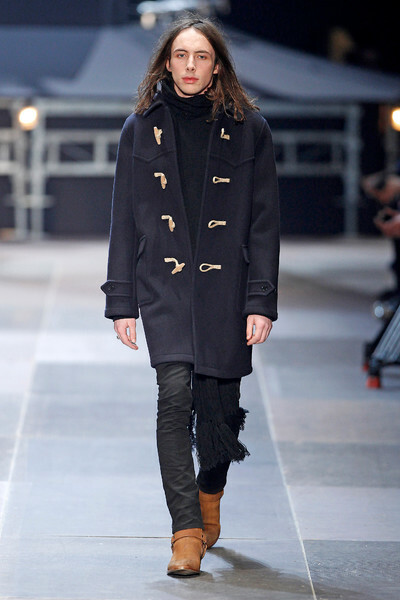 Skinny jeans, checked shirts, leather jackets and long striped scarves; Saint Laurent’s man is a grungy kind of guy for 2013. 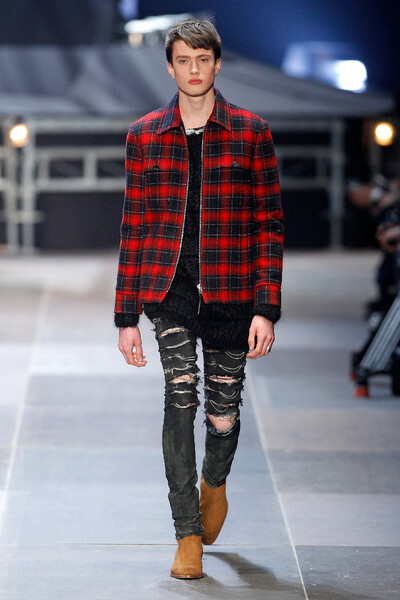 Jeans had multiple rips and the layering appeared careless on purpose. 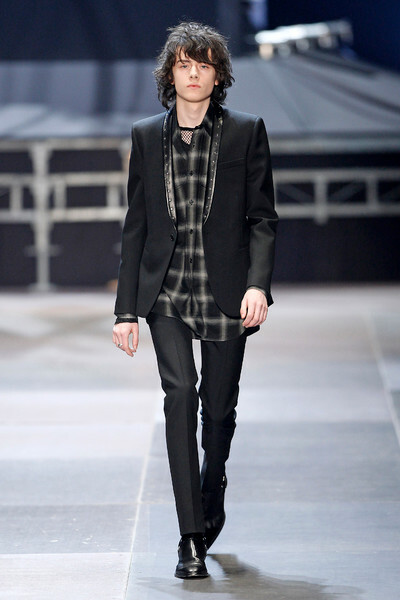 Hedi Slimane focused on how accessible his designs can be. 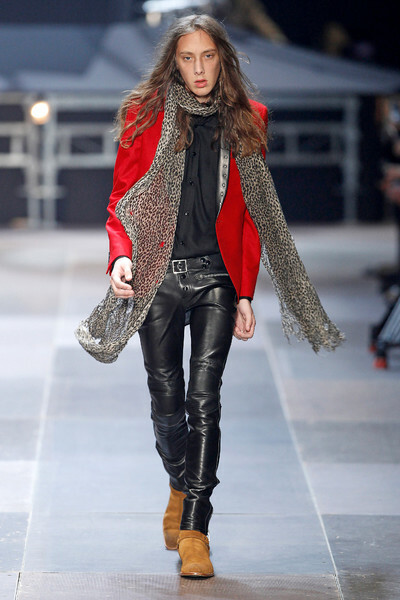 So accessible both men and women should be able to pull them off (he proved by sending androgynous – real musician – models down the runway). 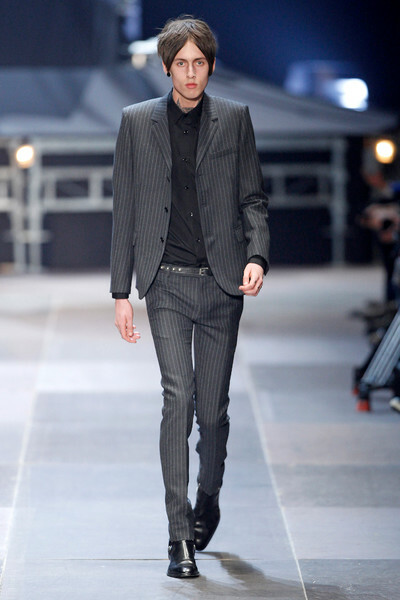 It felt good to see menswear can be more than endless series of checked suits. 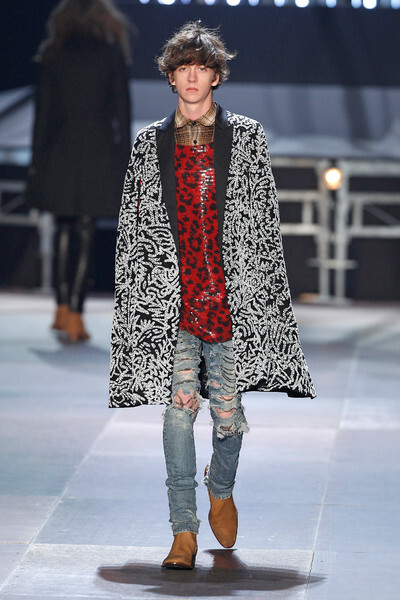 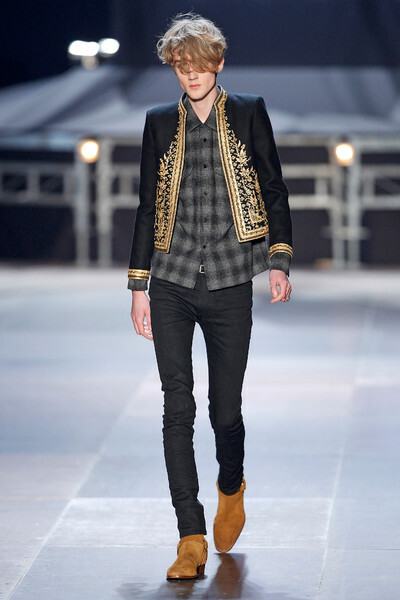 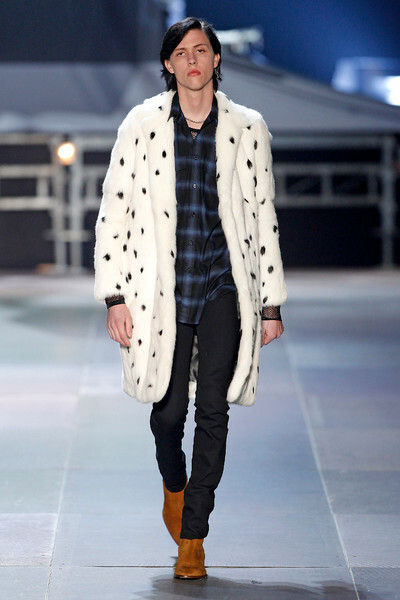 Yet Slimane’s free spirited, punk creations perhaps could have been a little more original.